Only in the USA there are five million people who are affected by spinal cord injury every year. It must be terrible to be unable to perform your daily activities. While you are reading this article, around 300.000 people have been affected by spinal cord injuries in the USA. This trauma debilitates you and affects the individual’s quality of life. Some cannabis cannabinoids, such as THC and CBD can positively affect one’s well-being. They deliver several medicinal benefits and relieve many painful side effects produced by the injury. Even though it’s been legal in Canada, many medical professionals were doubtful about using cannabis for this disease. Probably the reason behind this resistance was the lack of high-quality evidence about medical marijuana’s use. However, day after day, more research is being completed and, therefore, the attitude toward cannabis is drastically changing. One of the most common situations where patients are given medical cannabis is the treatment of spinal cord injuries. It seems marijuana has much potential to help patients with symptoms management. Spinal cord injury happens when there’s trauma to the spinal cord. The trauma could happen anywhere in the spine and it can occur for several reasons. We must not confuse spinal cord injury with spinal cord disease, which normally is related to things such as narrowing of the spinal canal. The spinal cord disease can be just a symptom of other medical problem, such as multiple sclerosis. The spinal cord injury can be classified as an abnormality in the spinal cord which is not necessarily a result from the disease. Spinal cord injuries may have several symptoms. In certain cases, the injuries are very debilitating. Sometimes the injury produces paralysis. 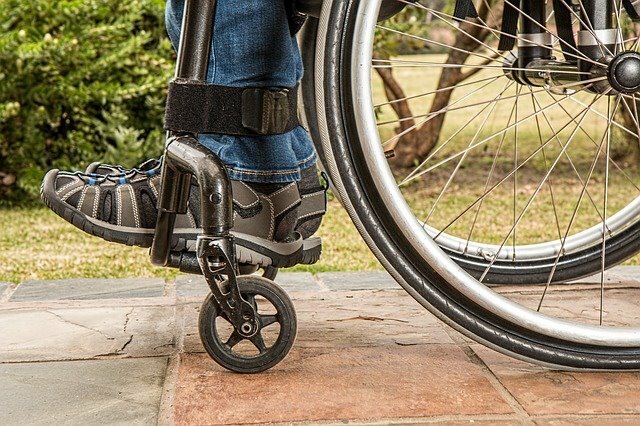 Some people may experience partial paralysis although not all the spinal cord injuries are that severe and some patients can experience a range of milder symptoms. Among the most frequent symptom are spasticity and pain. But even in these cases the injuries can be very debilitating. Sometimes spinal cord injuries produce loss of fine and gross motor skills. Some of the most difficult symptoms to treat are pain and muscle spasms, which eventually don’t respond to conventional medicine. Moreover, the patients tend to experience depression, anxiety, symptoms that make the patients suffer from social isolation. Several studies have shown that cannabis, CBD and THC, can alleviate to SCI patients. Besides producing relief, cannabis helps reducing the side effects of SCI and it is believed that it could help the body fix itself. For thousands of years, cannabis has been used as a pain killer and, nowadays, CBD is used as natural analgesic. One study has discovered that cannabis works to regulate pain perception. Another research found that when cannabis is combined with massages, the most pain-relief was experienced by spinal cord injury patients. If cannabinoids have analgesic abilities and a neuroprotective response, there’s hope for these people. Besides the analgesic properties of cannabis, the plant is an excellent relaxant that relieves muscle spasms. If a patient experiences paralysis, he/she usually feels spasticity. It is a very common side effect. In 1890, Dr. J Reynolds discovered the efficiency of cannabis to treat muscle spasms. Roughly speaking, cannabis is a natural anti-spasm substance. On top of suffering from muscle spasticity and pain, SCI patients have severe problems to sleep. Lack of sleep weakens the the body’s immune system. Different studies have shown that cannabis improves one’s quality of sleep and the length of it. Combining CBD and THC helps patients struggling with several sleep troubles. Even though this study hasnt been conducted on human beings, the discoveries mean the positive effect that CBD can have on sensory-motor and functioning in SCI patients. It’s also possible that some cannabinoids can help restoring functioning. This would drastically enhance the quality of life of the patients. There are several conventional treatments for SCI, such as physical therapy, massages, acupuncture and more. But they aren’t efficient for everybody. Moreover, some medications are prescribed for pain relief but many patients refuse them due to their potential addiction. Cannabis a a natural method that can alleviate several side effects due to SCI and improve the quality of life. More research is necessary but what has been discovered is very hopeful. During the 1970s and 1980s a little of investigation was conducted. But the research was based on patients who were self-medicating with cannabis. Therefore, the results of the research were based on patients’ self-reporting. For the first time, a controlled investigation of medical cannabis to treat the symptoms of spinal cord injuries was conducted in 2003. According to the research, patients got pain relief. They also reported clear improvement in spasticity, muscle spasms and bladder control. However, some patients did not like the psychoactive effect and reported it as a negative side effect. More investigation has been conducted since then. One study that looked at the treatment of spasticity used a double-blind procedure. The patients did not know the group they were assigned to. Neither the patients nor the medical professionals knew it. Only the investigators knew. The research concluded that THC clearly improved the spasticity sum score for most patients. Although spinal cord disease and spinal cord injury are two different things, they use to affect the patients in similar ways. The research has demonstrated that medical cannabis is effective to treat pain and spasticity. Moreover, several investigations conducted that THC and CBD help to relieve inflammation in the body. Therefore, if you are a patient who suffers from spinal cord injury, medical cannabis is a perfect option. Many patient who have tried conventional without good effects, are trying now medical cannabis to treat the symptoms of spinal cord injury. Fortunately, more research is emerging every year. Therefore, sooner than later we will have more information about the real possibilities of medical cannabis to treat the symptoms of spinal cord injury and disease.